One of my pet peeves is how people try to just skip over Thanksgiving and jump right into Christmas. I love me some Thanksgiving, I mean its a holiday of just doing one of my favorite things- eating lots of delicious food! What’s not to love?Even though the window for Thanksgiving is pretty short after Halloween I still wanted to put up some turkey cheer in my house, so I made a big stuffed turkey- no pun intended. My Mother in Law has this old school pattern that was printed straight from hand written directions and I am a sucker for cheesy decorations so I had to try it. My sewing time is limited these days with my teaching job so I figured this was a priority project. 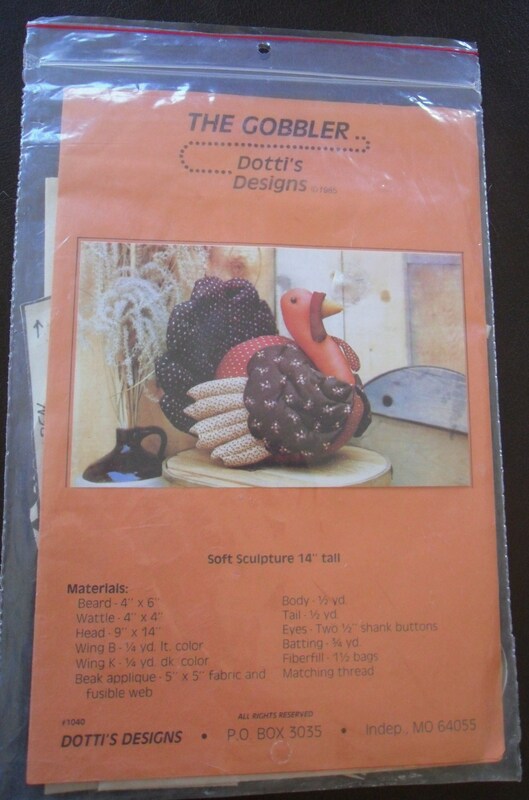 This is a great project to get rid of scraps and ugly “theme” material that you don’t know what to do with. I scavenged the big buckets of fabric that we found at the yard sale and found some pretty good Fall material. The construction was easy, it is a time consuming project however, there is a lot of stuffing and top stitching, and the god awful hand stitching at the end to get his wings sewn on. He turned out pretty cute! 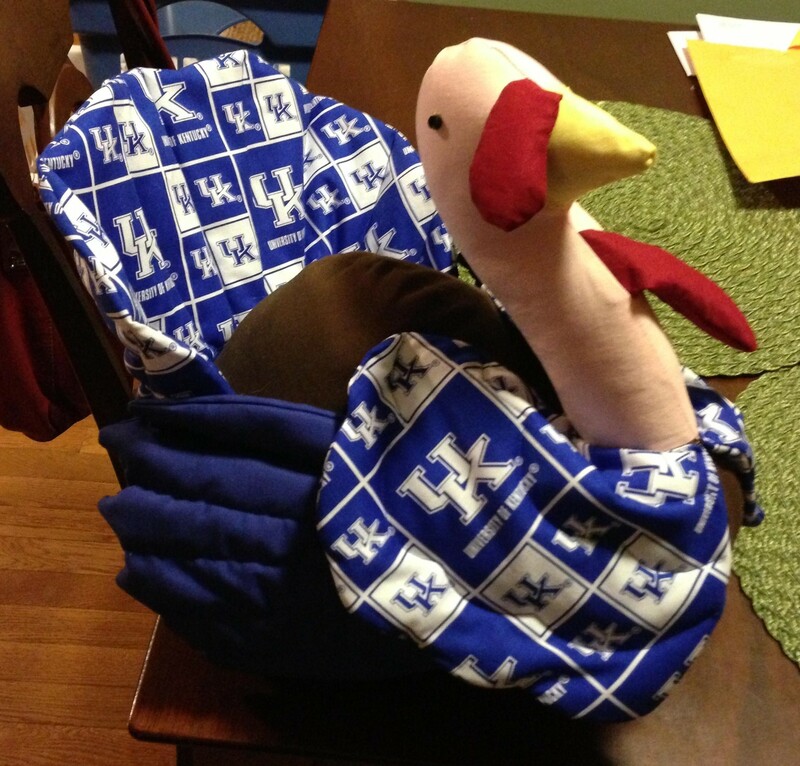 My friend Katie who is a crazy University of Kentucky fan has a birthday at the beginning of November so I decided that she needed a UK turkey for her house. Good times! 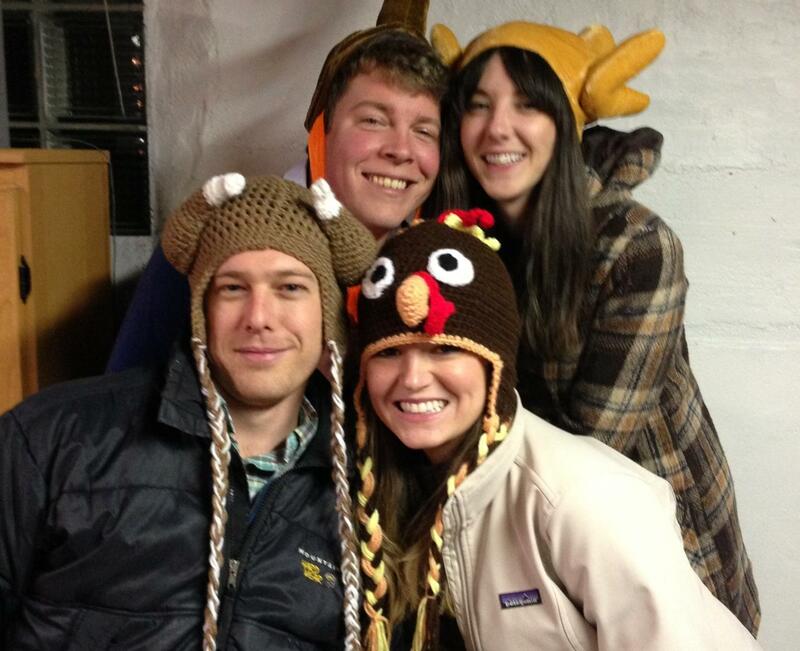 My friends had their annual friends Thanksgiving party last night which was a blast, and to keep the theme Chris and I wore crocheted turkey hats that my mom made for us. 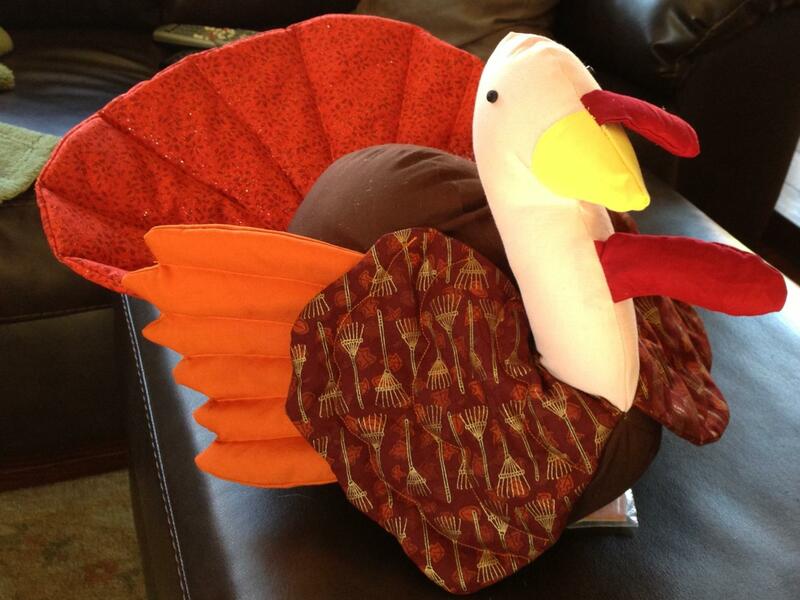 She has been making tons of these sily hats to donate to charity for the holidays so I decided to be selfish and have her make us a pair.Mine was a happy turkey, and Chris’s was a cooked turkey 🙂 My friends who hosted the party coincidentally had matching hats as well so we did a gobble gobble photo op. I plan to have her teach me to crochet over Christmas- imagine the possibilities!